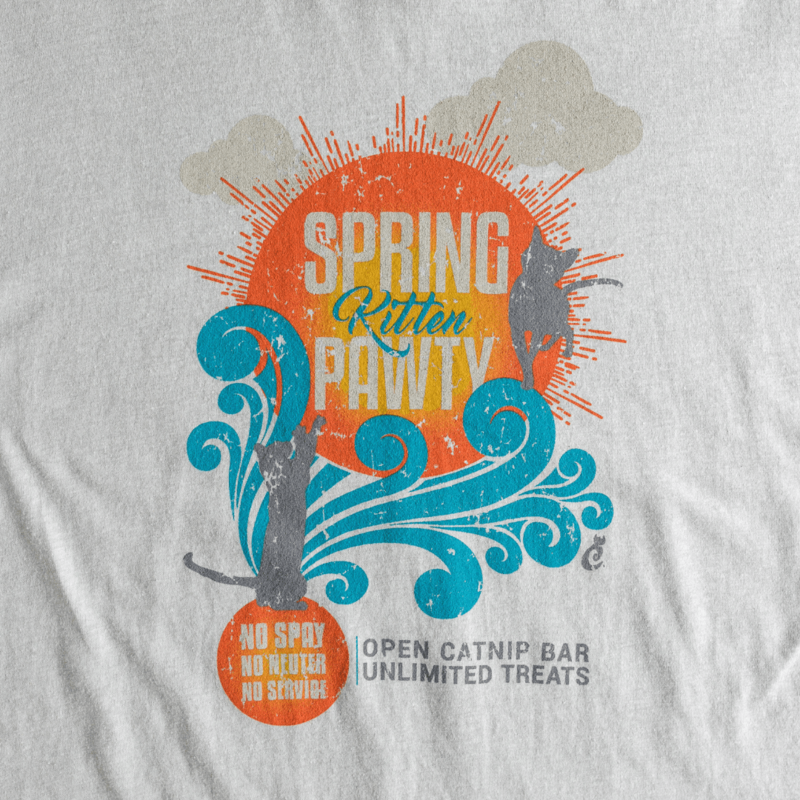 Spring means kitten season, and we’re ready to get the pawty started! 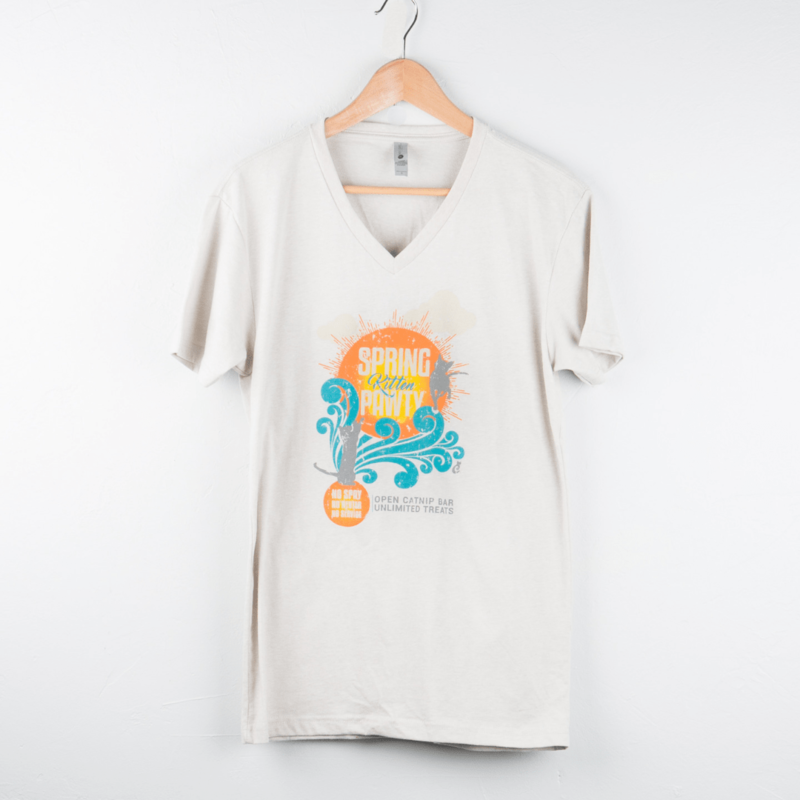 We created this shirt in a “spring break” flyer style to make it fun, and our hope is to help promote the impurrtance of spay and neuter! Rescues and shelters need all the help they can get during kitten season, so if you can volunteer or foster for your local organizations, purrlease consider helping them out! 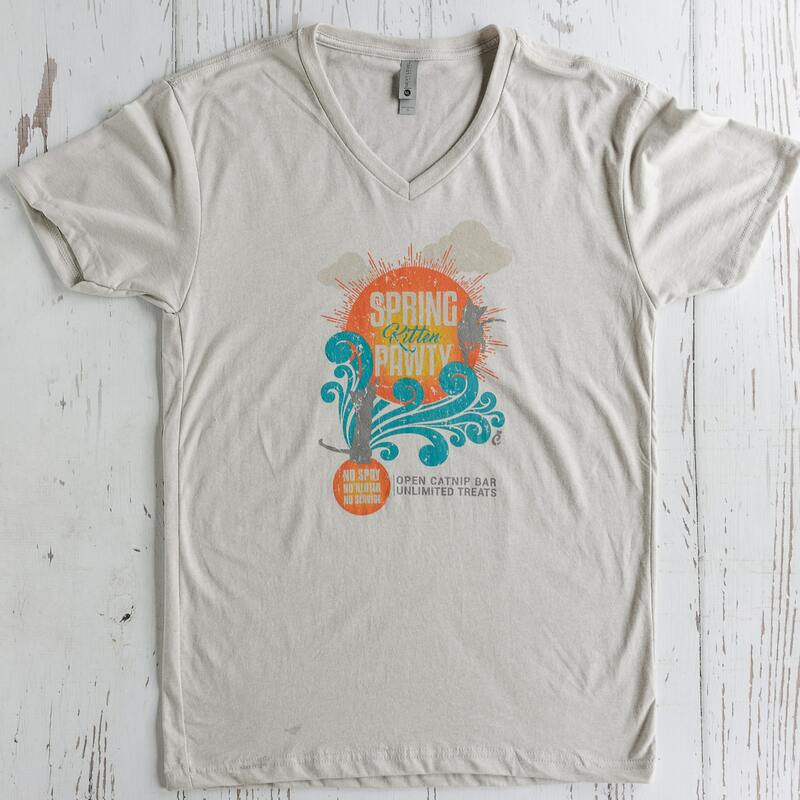 Super-soft sand-colored unisex size shirt. 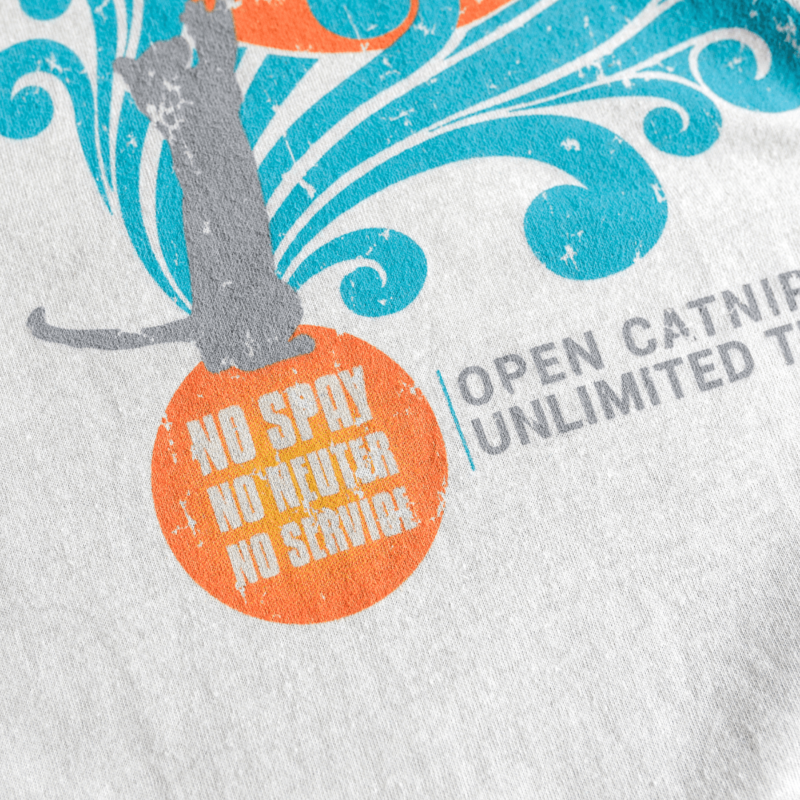 Made exclusively for CatLadyBox and originally featured in our “Spring Kittens”-themed box.